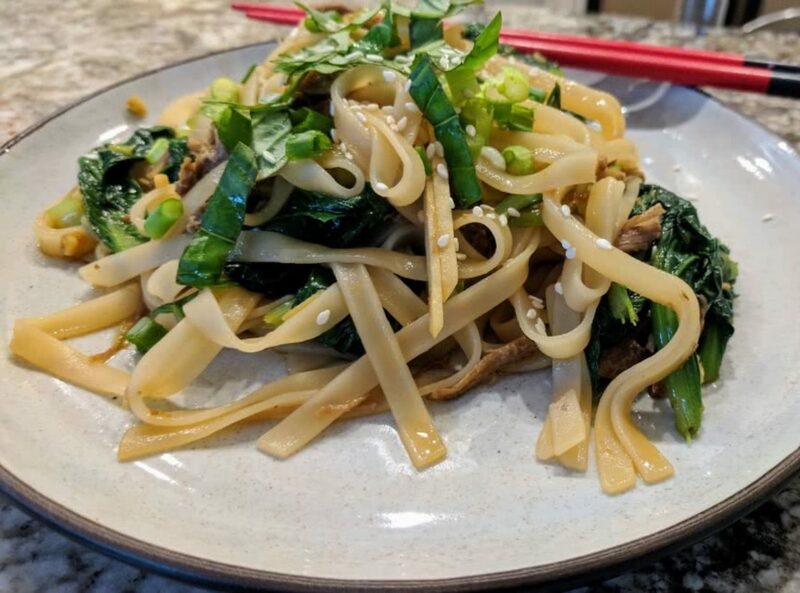 Warm noodles, shredded pork, spicy ginger and a bit of heat in our take on this Asian dish makes for an excellent fall meal. Using seared and pulled pork creates a better texture and adds to the already great flavor of this dish. I threw in the ginger matchsticks in the last minute of cooking to have it slightly cooked.